A woman who attacked two 7-Eleven customers in January 2017, has been sentenced. 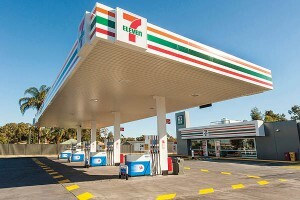 Evie Amati was reportedly under the influence of alcohol and drugs when she entered the Enmore 7-Eleven store and swung an axe at two customers. A judge sentenced Amati to nine-year prison sentence. With parole, Amati could be free by mid-2021. Judge Mark Williams said: “The risk of death was high in each of the cases, and the fact that death did not occur was entirely a matter of good fortune” Network 10 reported. “She continues to report having no memory of committing the offences, but remembers experiencing homicidal auditory hallucinations, visions and feeling scared,” Mr Williams said. The three victims of the attack all survived. © 2019 Convenience & Impulse Retailing. All Rights Reserved.